Extra, stale, or overdone cookies can be given new life with a little creativity. This is a guide about using leftover cookies. Blend all ingredients and bake on greased sheet 12 minutes at 375 degrees F.
When I have left over cookie "pieces parts" I crush them in a zipper bag. Same with chips or specialty crackers. 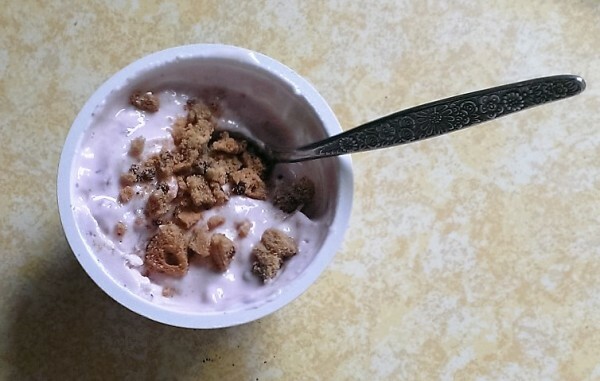 When I need something a little sweet with my yogurt, ice cream or pudding, I use the cookie "dust" to sprinkle over it. With baked spuds, soup or salad, I use the chips or crackers. Each lends just a little flavor to sometimes bland food. The next time you bake cookies and use a wire rack to cool them on or you have some that have fallen apart, keep all those loose cookie crumbs. Be sure to store them all in an airtight container. 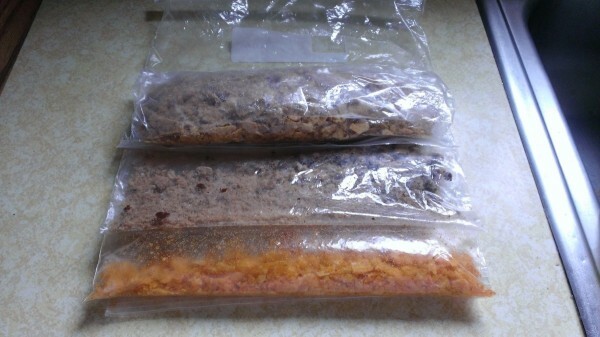 Simply place hardened leftover cookies in a large container with a lid and lay a fresh slice of bread on top. The cookies will become nice and soft again and the bread will be hard. You can do this several times to save all those good cookies. I over did it on sugar cookies this year and I have so many left. I hate to throw them away, so does anyone have any suggestions on how to use them in other recipes. Thanks! Do you have any one in your family who is serving in Afghanistan or Iraq? Why not send them a package of home-made sugar cookies. They will be very much appreciated. Kim, you could crush them with a rolling pin in a zip-loc bag and freeze them, then when it's time to make cheescake you can combine a cup with a few T. of butter and press in your springform pan for crust- or you could layer with pudding and fruit in some parfait glasses for a quick cheap dessert, or just sprinkle on top of pudding or ice cream. You could send them to me! Just joking but it sounds like a great problem to have! Thanks for the ideas. I like the crust idea. Hi, someone has stolen my thunder. We always do make a few extra to use as bases for cheesecake ourselves. They are scrumptious used this way either just for bottoms or sides as well, calling on what your cheese cake recipe calls for, just with a couple of tablespoons of butter. I would have one or two with breakfast coffee each day. A stale cookie makes a great dunker. 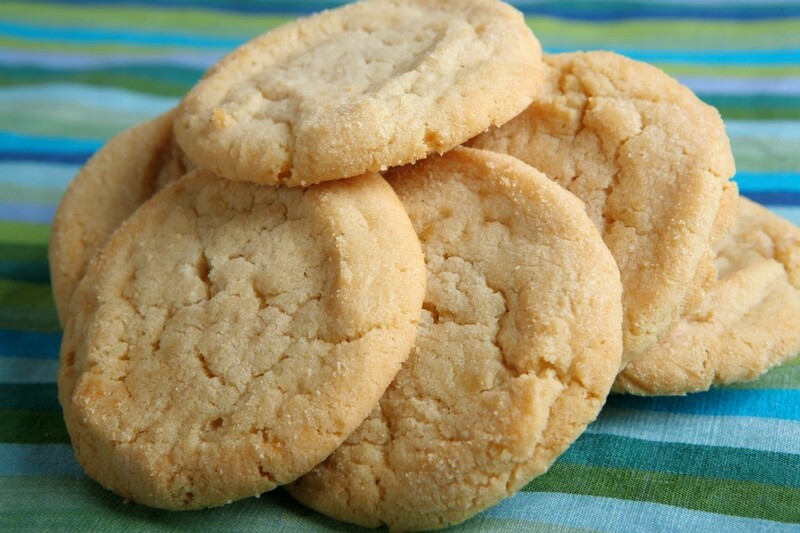 Sugar cookies are a good replacement for bought vanilla wafers in pudding. I vote for making hot chocolate pudding and use them like a spoon. Yummy! Freeze them. Give them to friends and neighbors. Use them instead of Graham Crackers for crust. They make a good breakfast food, as was already mentioned. You could make a batch of whipped cream, flavor it with vanilla or almond flavoring, and make an old fashioned ice box roll. Let it mellow in the fridge (covered) overnight. I'm for the donation idea. How about your local soup kitchen? I know they can always use donations of food for the hungry in your area. Kendy's idea is a fabulous one! I have leftover cookie's in the freezer, and that is what I am going to do with them. Crush them with a rolling pin or toss them into your food processor. Store the finely chopped crumbs for your next dessert. I use mine in any type of square that has a crust bottom. Just add melted margarine to the crumbs and pat down to form the crust. (You don't have to add sugar as in most recipes as the cookies are already sweet. Store in freezer upwards 1yr if they last that long! Perhaps you could put some ice cream in between two cookies and freeze them to make an ice cream sandwich. Another thought would be something my mom used to make, but with Nilla Wafer cookies. She would line the sides and bottom of a glass dish with Nilla Wafers and then layer vanilla pudding, bananas, and more cookies to make nilla wafer pudding. Maybe you could make a variation of that?? Food Banks can't take home-made products, but some nursing homes can. There's a San Francisco treat called Its-It, which is an ice cream sandwich made with oatmeal cookies, white ice cream, and then all dipped in dark chocolate. YUM! Maybe that would work with your cookies? I never have leftover! lol. But if I did, I would crumble them and freeze them. Use them to top ice cream or pudding even yogurt. I normally get those old fashioned tins: line with wax paper put cookies inside/lining with wax paper between the layers. Cookies will stay fresh this way for over 6 months. If they are more than a week old and taste stale, give them to the birds and squirrels. Don't waste more ingredients trying to save money. Your new creation will not be as tasty as you would like. When you overbake, put them in the freezer within 2 days and then everything is fine and the cookies can be used in all the other suggestions.